British billionaire Richard Branson’s Virgin Orbit space venture notched another milestone over the Veterans Day weekend: the first high-speed taxi test of its modified Boeing 747 mothership with a LauncherOne rocket tucked beneath its wing. 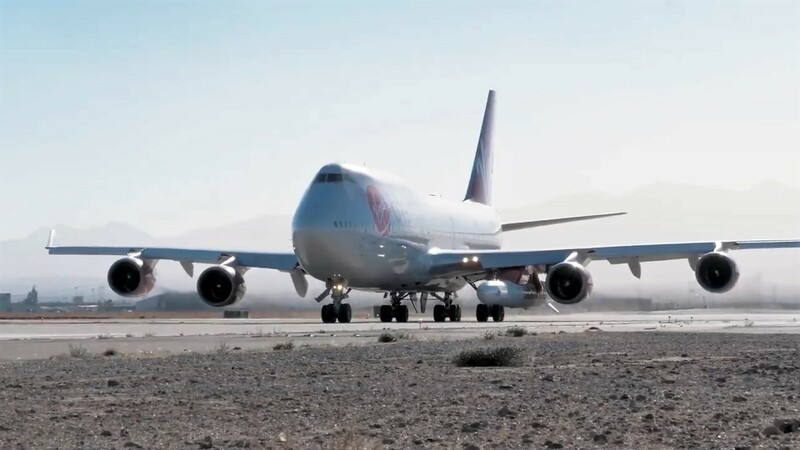 In a tweet posted today, Virgin Orbit said the Nov. 11 ground test revved up the plane, nicknamed Cosmic Girl, to a speed beyond 110 knots (125 mph) on a runway in Victorville, Calif. That’s fast enough to simulate an aborted takeoff. “We also used the day as an opportunity to load real flight software onto LauncherOne for the first time,” the company said. Branson signaled his approval in a follow-up tweet. “Congratulations to all the team on more exciting progress,” he wrote. This entry was posted in GeekWire and tagged LauncherOne, Space, Virgin Orbit. Bookmark the permalink.